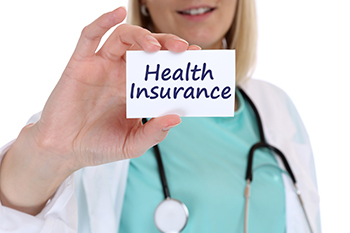 Insurance companies in India may require a person desirous of buying a health insurance policy to undergo pre-entrance medical check-up before granting him/her the medical cover. Insurance companies in India may require a person desirous of buying a health insurance policy to undergo pre-entrance medical check-up before granting him/her the medical cover. Such medical check-ups are usually called for if the prospective customer has crossed a certain age or if the amount of medical cover sought is quite high enough to warrant medical screening. The medical check-up is done to assess the medical risk present by the insured and the higher the age or higher the amount of medical cover, the higher the risk for the insurance company. Some of the common medical tests done include fasting and post-prandial blood sugar, blood pressure, electrocardiogram, complete blood count, serum creatinine, urine routine, lipid profile, etc. Some of the insurance companies bear the complete cost of such medical check-ups, while other companies may require the prospective customer to bear 50% of the cost. After the medical reports are received by the insurance company and if some pre-existing ailment is detected, the insurance company may, at its sole discretion, accept the proposal with a higher premium if the severity of the ailment is low. However, if the severity of the ailment is high and the proposal is considered to be a high risk case by the insurance companyrequiring medical treatment at frequent intervals, the proposal is liable to be rejected outright. But if the company does not reject such a proposal, it may exclude the ailment from the scope of coverage, thereby denying any liability arising out of treatment of such excluded ailment.